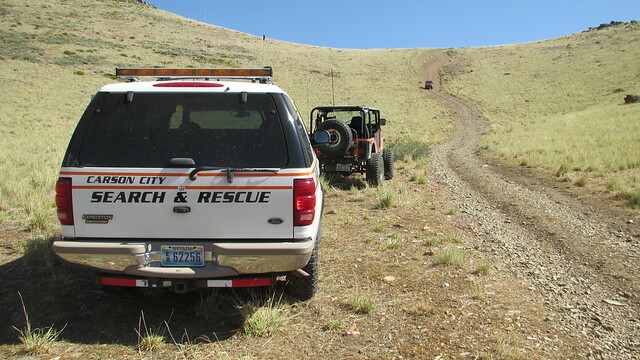 Between several callouts, an aggressive training schedule, and public relations events, Carson City Search and Rescue has had a busy 2015 year to date. 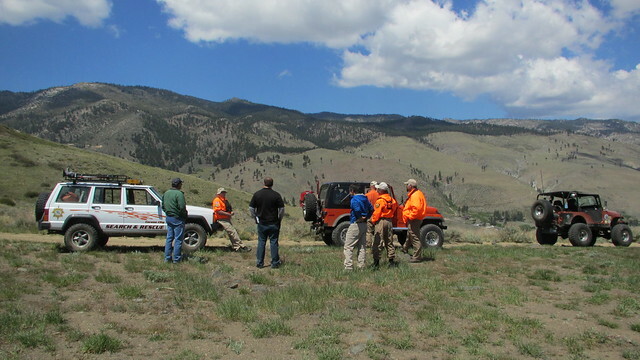 Here’s a look at some of the things we’ve been up to. 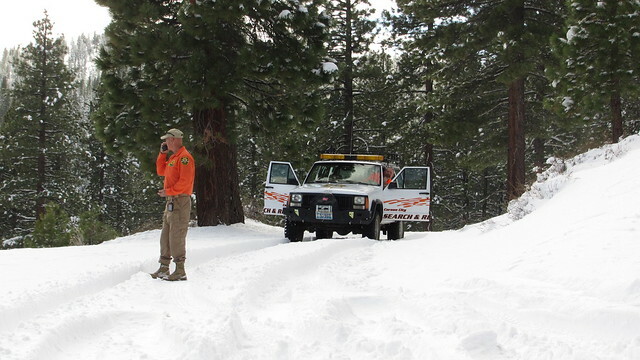 Starting in February, we began a series of rescues in Kings Canyon. 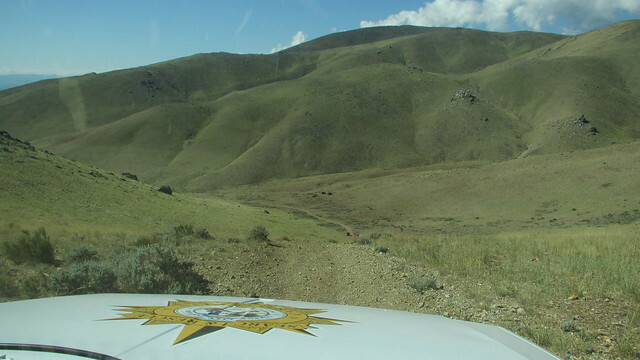 The dirt road between Carson City and Spooner Summit becomes nearly impassible to most vehicles several miles in. 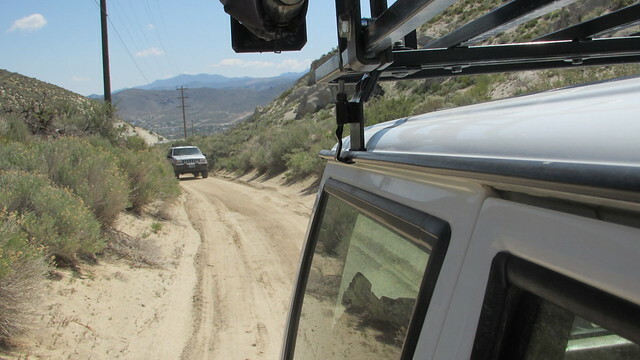 To make matters worse, there are difficult turnaround points on the narrow mountain road. 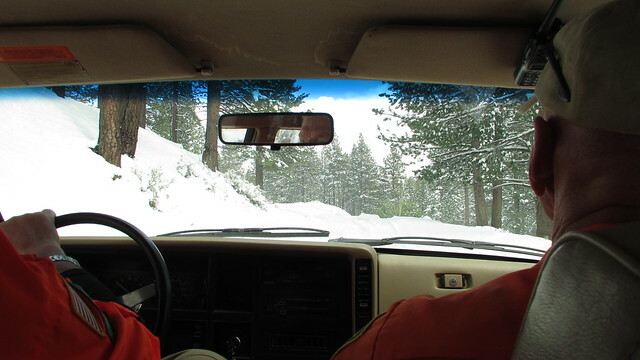 Drivers have become stranded in the snow, stuck in the sand, or have even slid completely off the road. 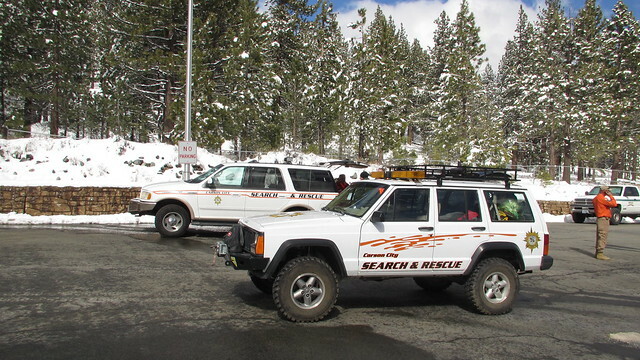 In most cases, SAR was only able to rescue the people, having to leave the vehicles behind for professional towing services to deal with at a later date. 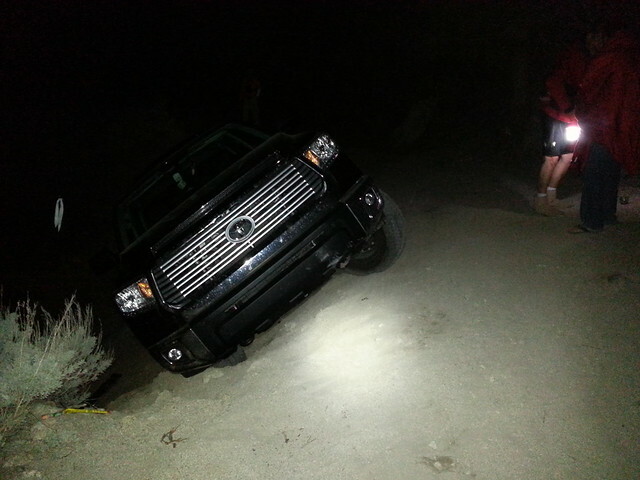 Please be careful, know your vehicle’s limitations, and know what you’re getting into before driving this canyon! 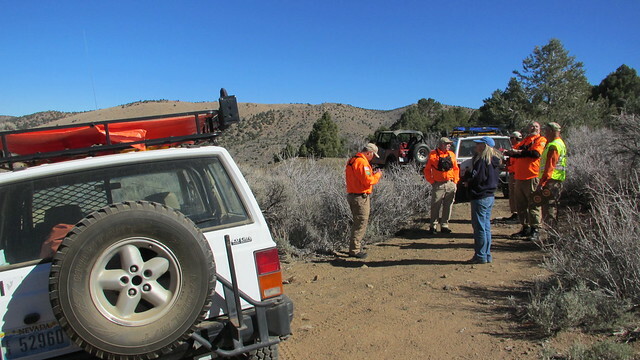 Brunswick Canyon is another frequent search area. 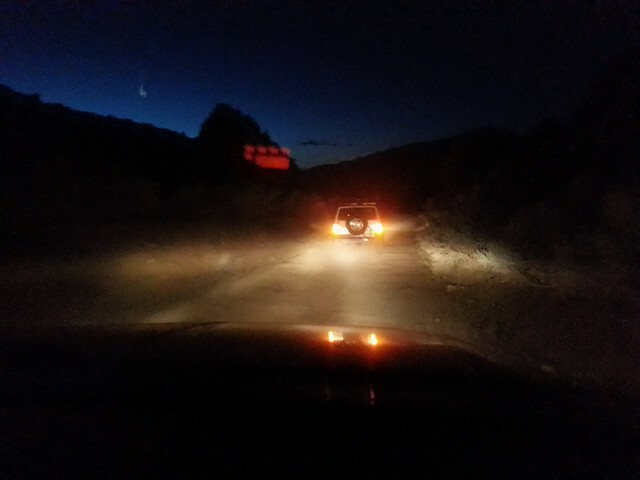 The team has become familiar with the area thanks to numerous callouts and training exercises in the mountains east of the city. 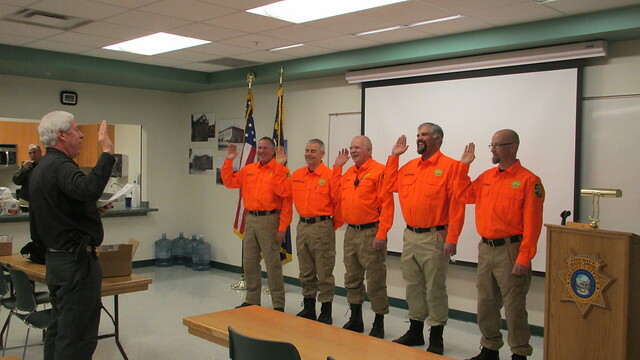 In January we swore in our new members after a year of being probationary members. 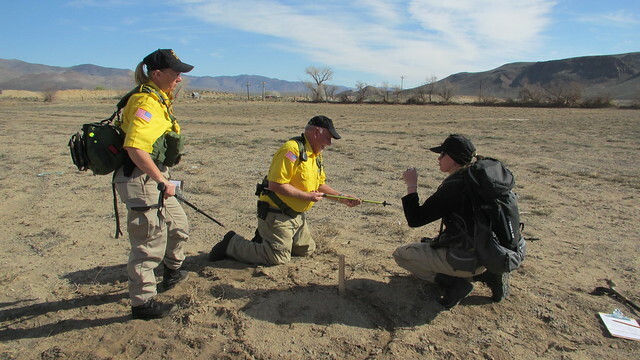 The process has recently begun anew, with four new members joining the team in May. 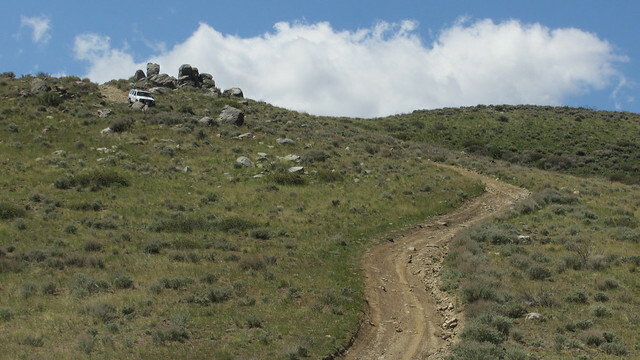 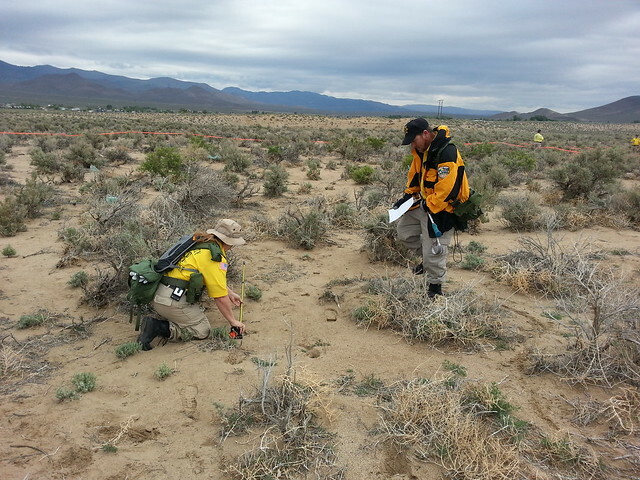 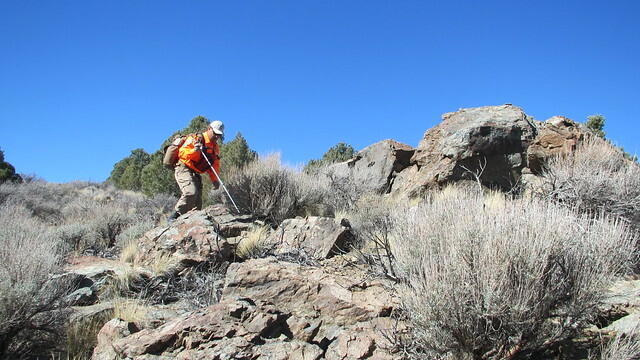 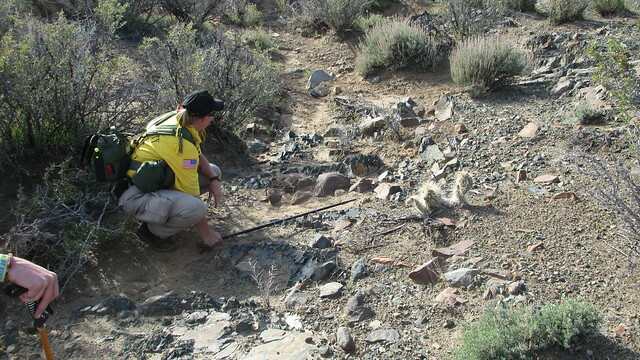 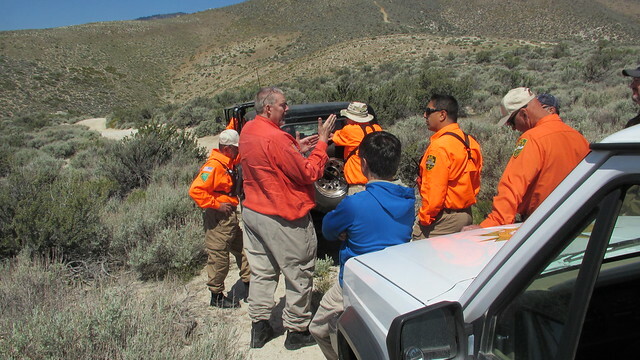 In addition to the regular callouts, Carson City SAR members have been conducting a lot of training, including full-scale search and rescue exercises, land navigation, wilderness first-aid, off-road driving, mantracking, incident management, rope rescue, swiftwater rescue, and more. 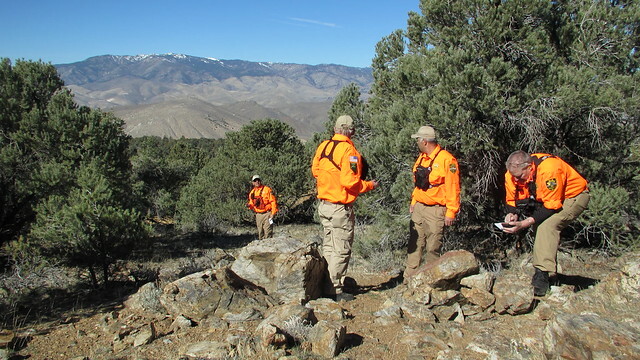 Frequent training has increased our skills, improved our equipment, gave us better knowledge of the area, and has kept our minds sharp for the next callout. 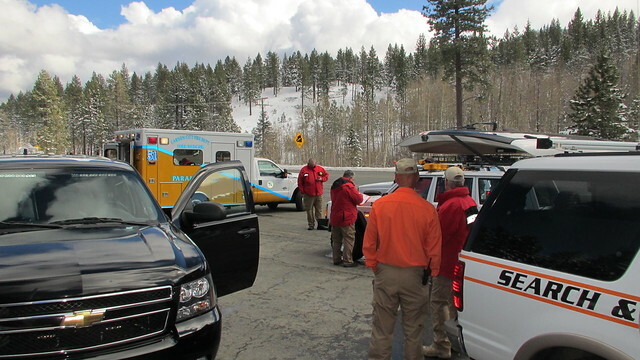 We had a search for a missing person exercise in February. 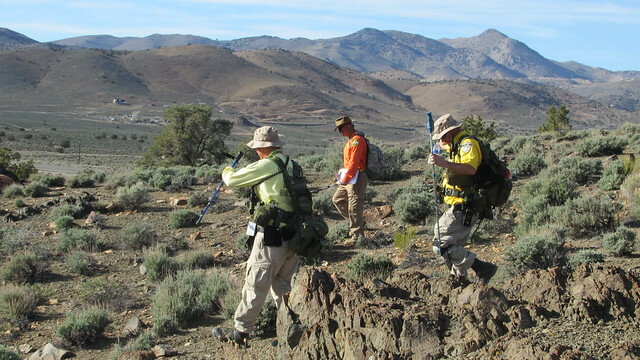 This full-scale exercise tested callout procedures, witness interviewing, incident planning, land navigation skills, documentation, tracking, radio communications, and more! 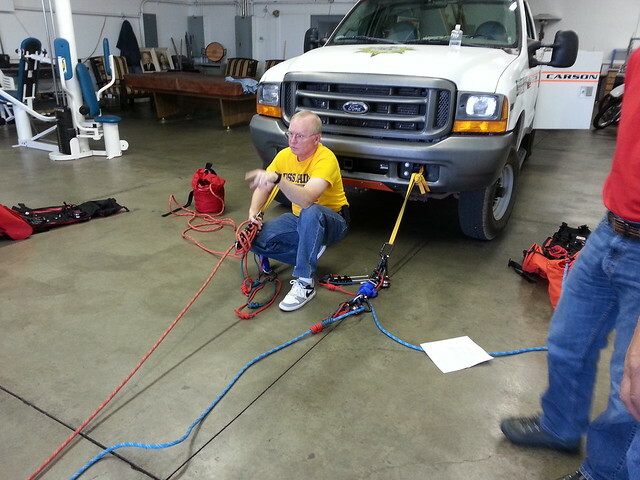 It was one of those days when we got to put into action all the classroom training we had over the winter. 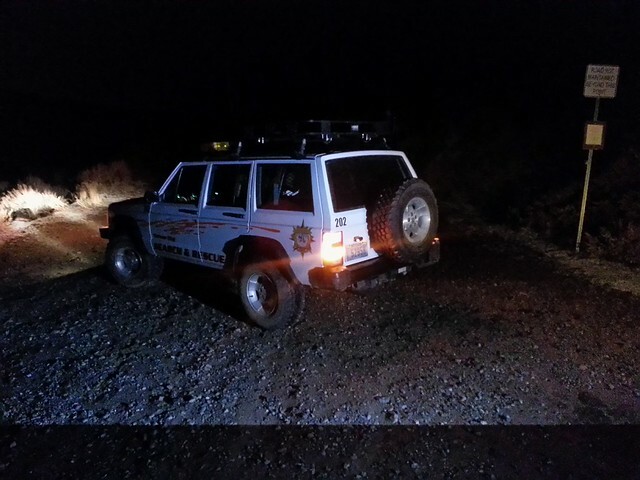 And we found our missing person in good health, I might add. 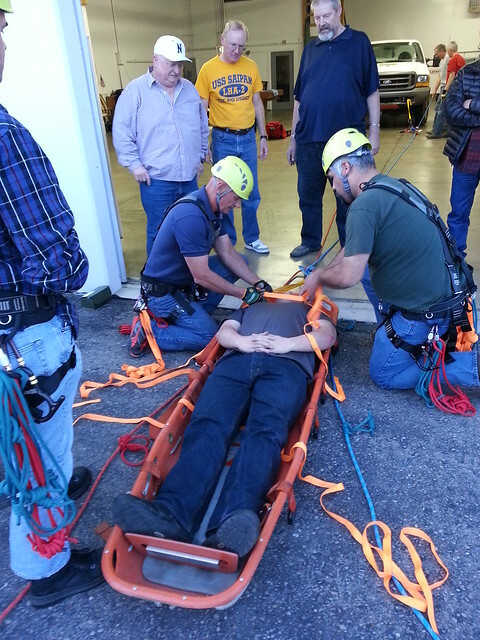 The Rope Rescue Team has been training the rest of the team in knot tying, rescue techniques, and patient packaging. 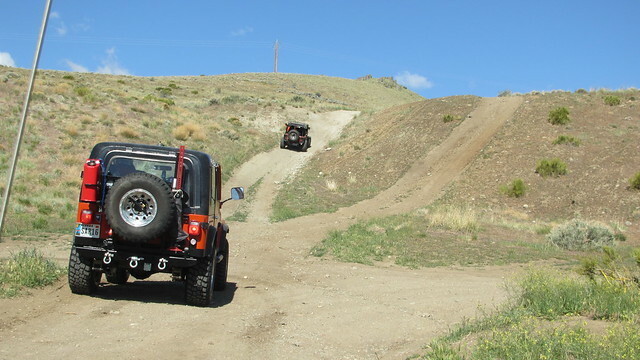 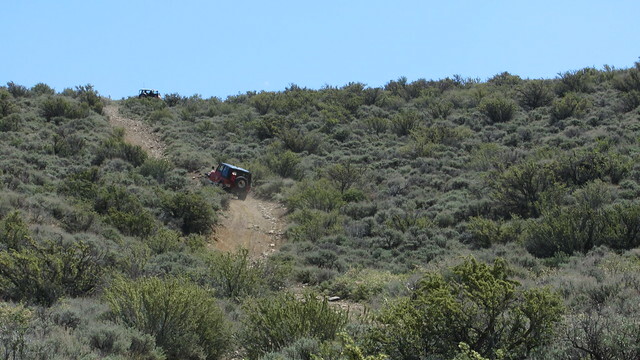 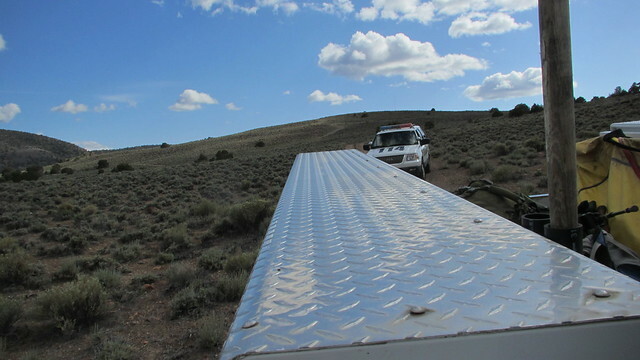 The motorized team presented off-road hill climbing training for the entire team in May. 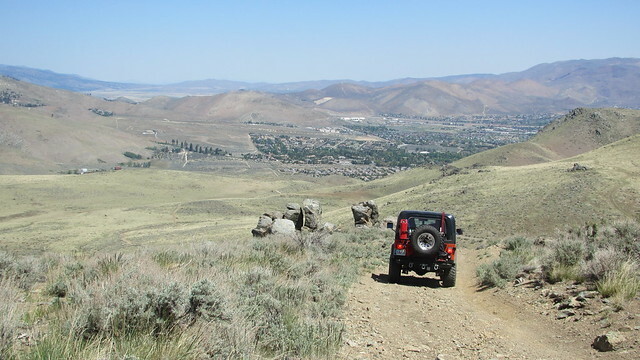 In addition to learning to drive the terrain, it was a good opportunity to become familiar with the C-Hill and Voltaire Canyon area. 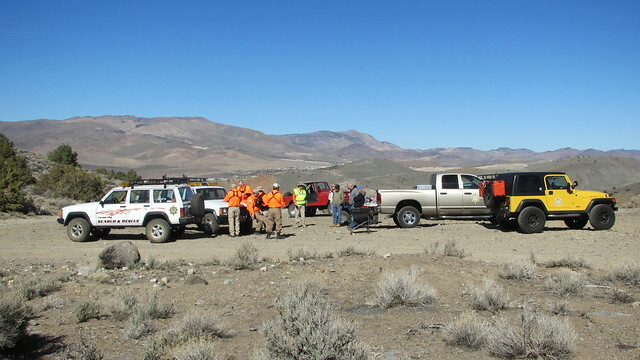 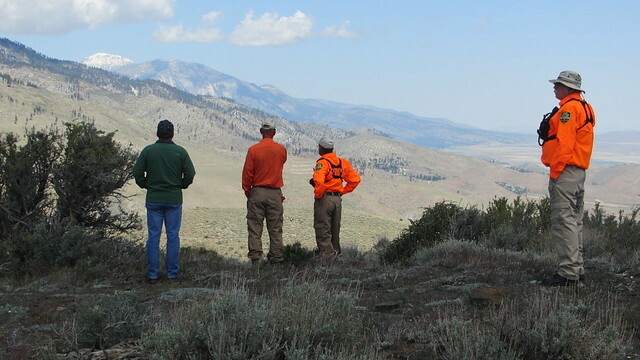 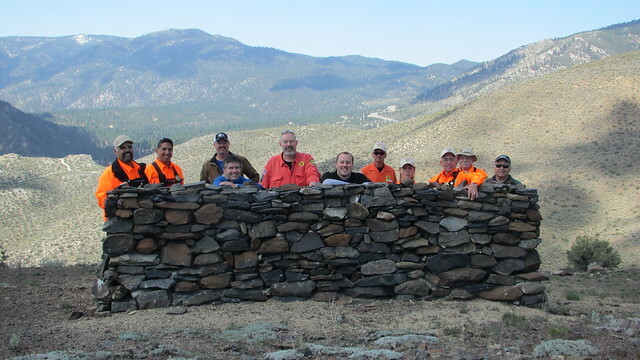 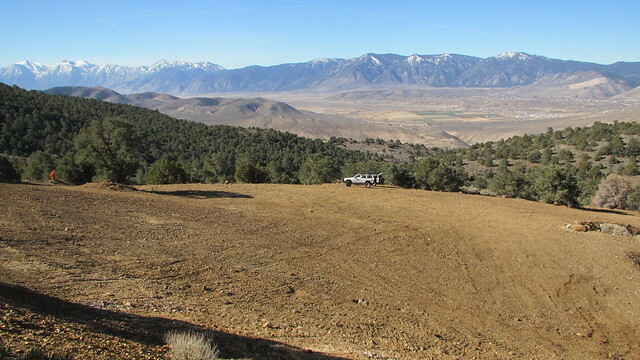 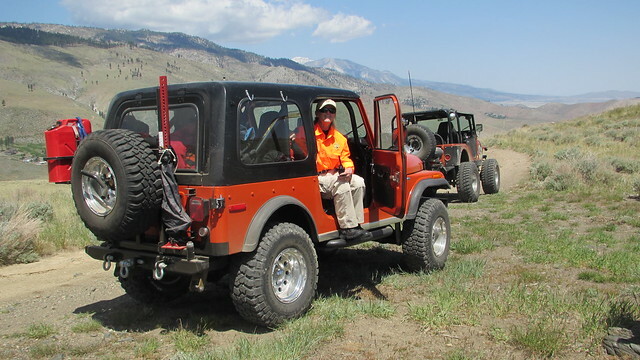 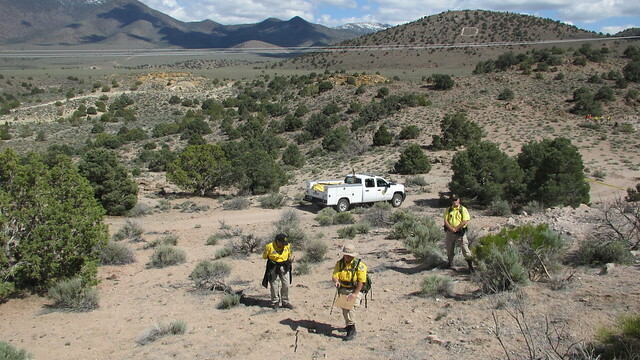 Over the past few months, Carson City SAR members have been training with Lyon County’s IMSA program (Incident Management, Mantracking and Search Associates, Inc.). 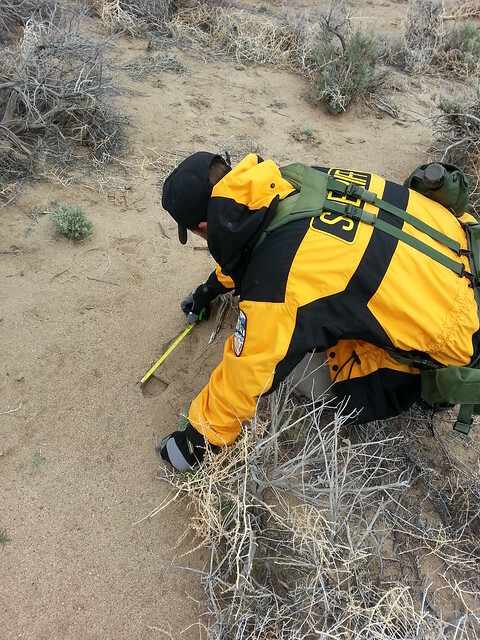 IMSA is a multi-phase, 80 hour training series on investigative mantracking, incident assessment and response, search theory and lost subject behavior, land navigation, incident scene and evidence, personal preparedness and safety, and more! 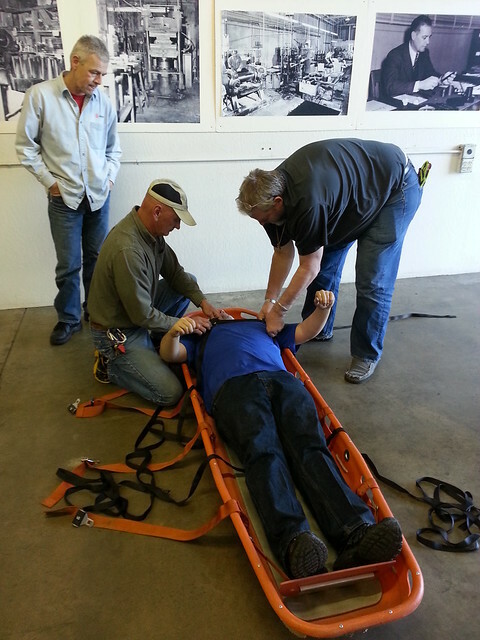 Several hours have been spent outside in the field for some invaluable hands-on experience. 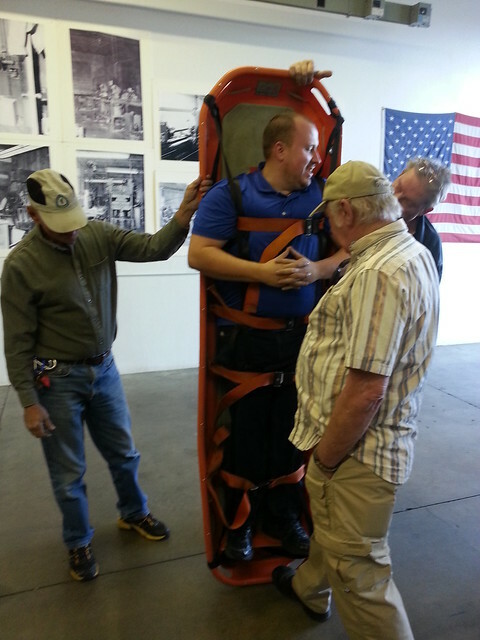 In addition to the new skills, the training has helped Carson City and Lyon County SAR teams get acquainted. 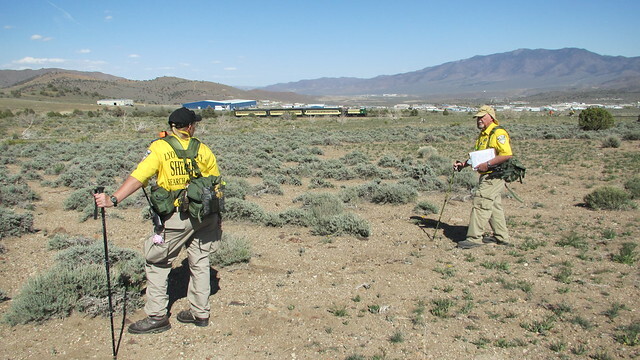 This will definitely help for future joint operations. 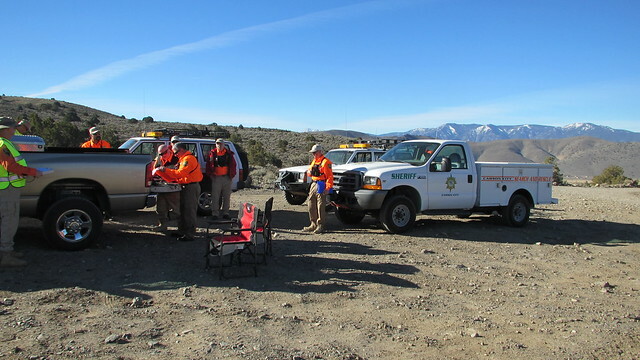 Carson City SAR still has lots of training and special events lined up for the rest of the year that we are looking forward to. 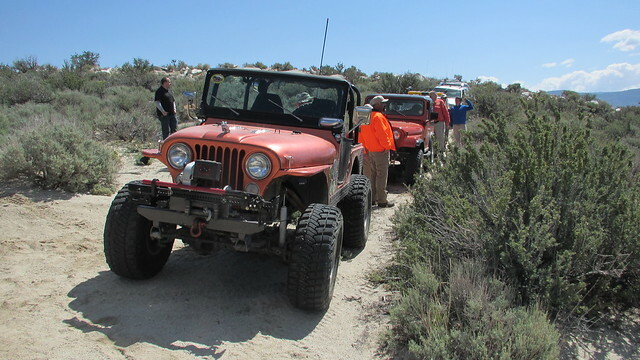 Thanks for stopping by, and have a safe summer!